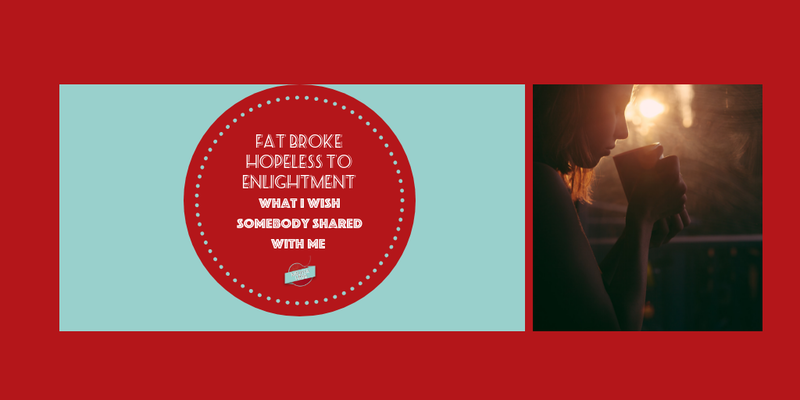 FAT, HOPELESS… I Want to Share This With YOU…. I lost myself in the middle of finding myself. Depression, sadness, and BEATING myself up for WHAT? I was BROKE, LOST MY PATH, and HOMELESS during a period of my childhood. A family member took my father and I in because we had NO OTHER place TO go. These are times I am ashamed to talk about. Five years ago, I lost my path because of injuries that left me bruised emotionally and physically. Left me with physical limitations and FAT. Before my accident, when I was 19–20, I dated a coworker. He was GOOD at manipulating, that’s for sure. Perceived himself as SINGLE and six months later, he’s MARRIED. I did not know what to do… Stupid, naive little ole me, I believed his lies and took him back. Back then I did have money saved the sucker me, “gave him” money because I was YOUNG, STUPID, AND NAIVE. Then I broke it off… SIX YEARS of emotional abuse I went through. From STOLEN identity TO stalking, AND trying to get me kicked out of college claiming of plagiarism, it left me broke and TRAUMATIZED. Changing my number EIGHT times IN one year due to the number of calls. This one blows the other claims out of the water, this person set up FAKE emails pretending to be his brother, sister-in-law, and who else. Claiming to have to commit suicide and even TYPED UP his OWN “obituary.” This SICK TWISTED pleasure of his did NOT fool me. Back then, there were no cyber laws like there are today, and it was hard to prove. Currently, I am in a happy relationship with my significant other that treats me right. I still to this day HAVE emotional scarring from this. Abuse emotionally is REAL. It is SO MUCH DEEPER then physical abuse. It strips and tears down a person TO GO ON. This is why I want to SHARE my story with you. If you ARE experiencing ANY signs of emotional abuse, please seek help. You are NOT alone in this. This took a lot of guts for me to come out with my story. I want this to reach out at AT LEAST one person and inspire them to not go through what I have dealt with. Melissa Herb is a Body Positive Advocate. Also a social media influencer, blogger, and author while pursuing her Masters in Dietetics and Nutrition. Her three plus years with health, wellness, and life coaching help lady lovelies get their glam back. Follow Melissa Herb on her social media accounts below and YouTube channel.